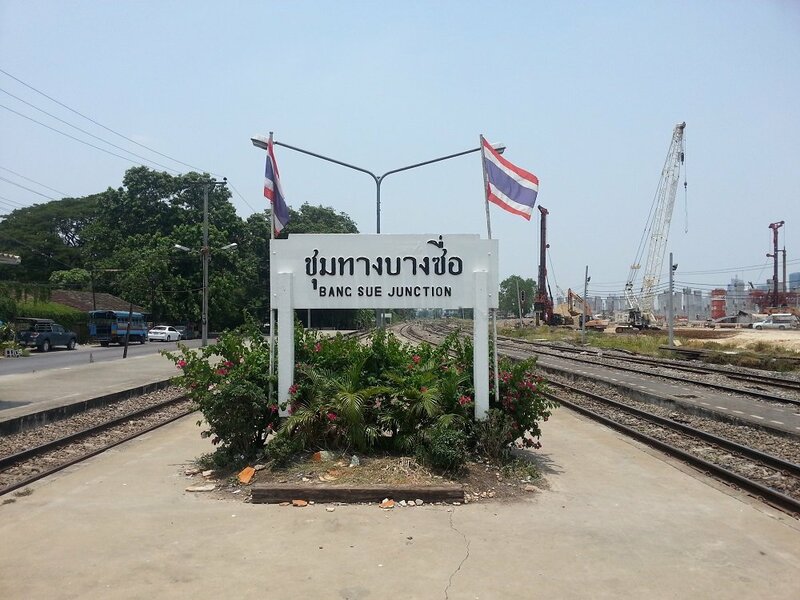 Despite being a small train station on the outskirts of Bangkok, Bang Sue Junction is one of Thailand’s busiest train stations and probably the most convenient station to depart or arrive in Bangkok on any of Thailand’s three major intercity railway lines. The fastest train to Chiang Mai is Train #7 departing at 08:50 which is the only train to complete the majority of the journey in daylight hours. All trains have sleeper berths available except: Train #7 . Train #9 uses Thailand’s brand new train carriages. The fastest train to Nong Khai is Train #75 departing at 08:40. All trains have sleeper berths available except: Train #75. Train #25 uses Thailand’s brand new train carriages. The fastest train to Surat Thani is Train #43 departing at 08:27. Train #31 uses Thailand’s brand new train carriages. 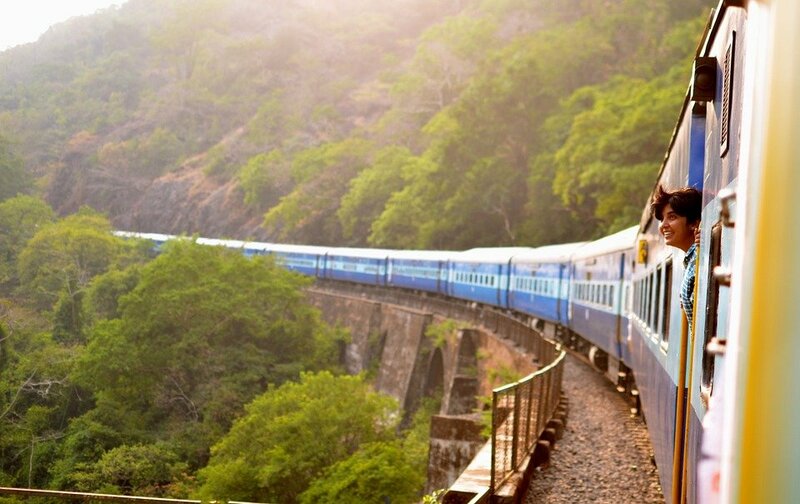 Change the destination in the Search Box above to find tickets to travel from Bang Sue Railway Station to other major railway stations across Thailand. 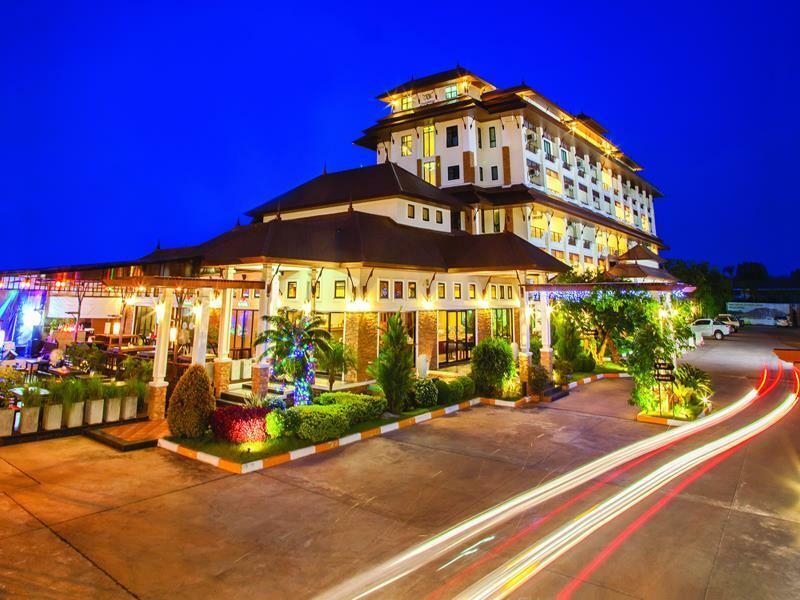 For travel to Kanchanaburi you need to travel to Thonburi Railway Station to catch your train, and for travel to Aranyprathet by train the closest Eastern Line connection is at Yommarat Junction 5.3 km south of Bang Sue Railway Station. 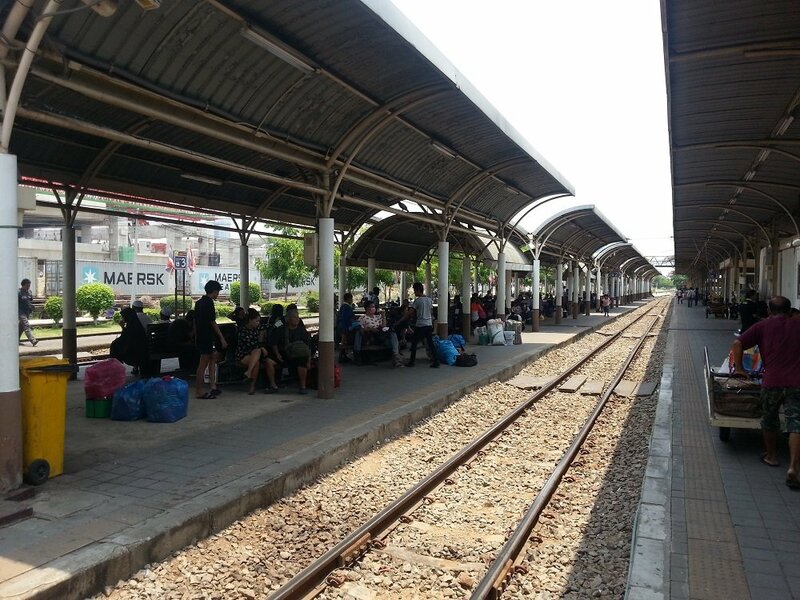 Bang Sue Railway Station is 7.47 km from Bangkok Train Station. Bang Sue Railway Station has two 4 platforms. With the exception of services on the Eastern Line, all intercity trains which depart from Bangkok’s main train station (Hua Lamphong) stop on route at Bang Sue Railway Station. Many Thai travellers choose to board and alight intercity trains at Bang Sue Railway Station rather than Hua Lamphong Railway Station because it is more convenient for onward travel. 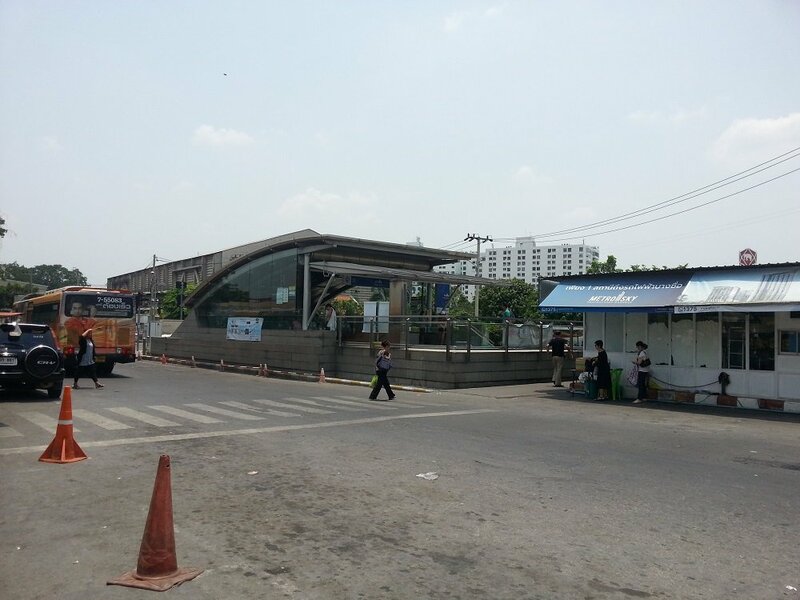 Metro (MRT): There is an MRT station very near to the main station building at Bang Sue Railway Station. The metro line currently runs all the way down through Bangkok from Bang Sue to Hua Lamphong Train Station. The Metro is generally quicker than the train in travelling from Bang Sue to Hua Lamphong. Skytrain (BTS): The MRT from Bang Sue connects to the BTS system at Chatuchak Park MRT station, Sukhumvit MRT station and Silom MRT station. Airport Link: The MRT from Bang Sue connects with the fast Airport Link to Suvarnabhumi International Airport at Phetchaburi MRT station. Don Mueang Airport: Bangkok’s second airport, predominantly used by low cost carriers for internal flights, is 18.6 km away from Bang Sue by road. The journey by road is quick because Bang Sue Railway Station is a short distance from the Expressway and the Toll Road which means you avoid the worst of the traffic in Bangkok. Changing between the Northern and North Eastern Lines and the Southern Line: For travel from Northern locations such as Chiang Mai and North Eastern locations such as the boarder with Laos, to the South on the Southern Line the best place to change trains is Bang Sue Railway Station. Parcels Office. You need to visit this office to pay the cargo fee if you plan to transport a large object or take a bicycle on a Thai Train.